When they talk about the “Olympic experience,” athletes usually don’t mention the part where they get absolutely wasted, steal a Hummer, and get arrested. Nevertheless, it looks like that’s at least one Canadian’s idea of the true Olympic experience, judging by this report out of Pyeongchang. According to CBC News, Canadian skicross athlete Dave Duncan, his wife Maja, and Ski Cross High Performance Director Willy Raine were arrested early Saturday morning in Pyeongchang. 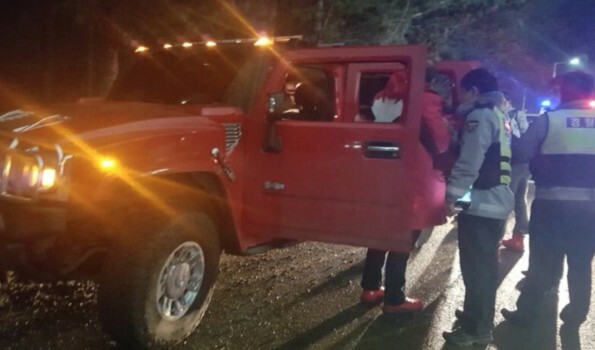 The three of them were apparently drunk when they stole a Hummer that was left running. Raine was driving the vehicle when the three of them were arrested. His blood-alcohol level at the time was 0.16, which is more than three times greater than South Korea’s limit of 0.5. The three of them were released from jail shortly after their arrest, but they have been barred from leaving South Korea until the case is completed. The CBC states that while these types of cases can take a long time to go through the judicial system in South Korea, this particular case is being expedited. The case is currently said to be in the hands of prosecutors, with a court date yet to be established. Duncan finished in eighth place in the skicross competition, but he and his partners get a gold medal in stupidity for this latest performance.